Please make sure you are parking in a parking space when you’re dropping off your children. Please read to your child for 20 minutes every day. DID YOU KNOW WE HAVE A BLOG? 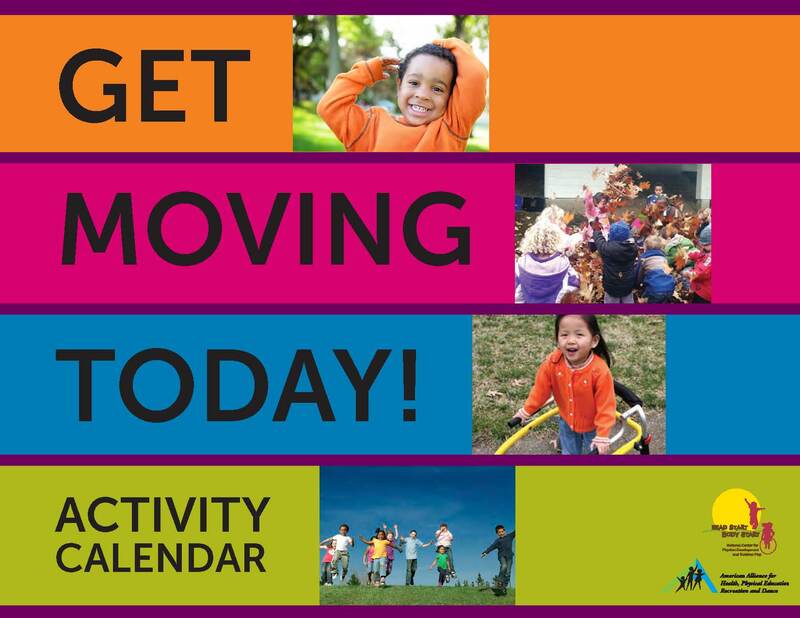 The "Get Moving Today Activity Calendar" developed by Head Start Body Start provides fun ways to help preschoolers be active. Check out the January Calendar. There is an activity you can do at home with your child every day of the month! Make edible art. Use the plate as the background and have your child add applesauce for clouds, shredded lettuce for grass, celery sticks for a stem. Carrot rounds for flowers, orange slices for leaves, raisins for rocks, and any other edible ingredients for natural scenes. WHAT ARE SMALL GROUP ACTIVITIES AND WHY ARE THEY IMPORTANT? There are plenty of good reasons to send your child to preschool. Not only does preschool prepare children for kindergarten, but it’s also an opportunity to help promote social and emotional development. The preschool classroom environment is structured to help children make new friends, learn how to play and build relationships with others. One way preschool teachers do this is by organizing small group activities. Small group activities are fun and engaging learning activities that feature a small number of children, as opposed to an activity that features the whole class or free play. By separating the children into small groups featuring interesting materials, teachers are able to encourage social interaction and create an inclusive environment. For more information, check out the article Why Preschool Small Group Activities are Important.